Managing your finances can be tasking especially for individuals running a home and a business simultaneously. As career man or women who hold high positions in an organization, drawing a financial plan may seem impossible.You could spend twelve hours of your day thinking up strategies for executing the companies goals. However, you never thought of how financially possible such goals, either short term or long, can be achieved. Adelaide Accounting firms are the right channels to turn to. Adelaide accounting firms have experienced accountants that can help you draw out a financial plan for the year. This can either be for you or your organization. 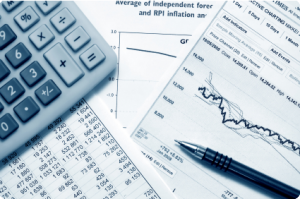 An accounting firm that is concerned with your financial prosperity will always be in touch. Because so much emphasis is place on effective communication, Adelaide Accounting firms know how to get to you. You finances have a role to play in determining the next course of your life or of your company’s. Whatever your preferred means of communication-telephoning, or messaging- be assured that you are not alone. Whatever key decisions you have to make over your finance, your accounting firm will always be in touch. If you’re involved in multiple business, there are some funds you should legally remit back to the government. And for businesses that require a lot of time and resources, you barely have the time to sort these bills. As such, it may be difficult to make a true assessment of what you earn annually. 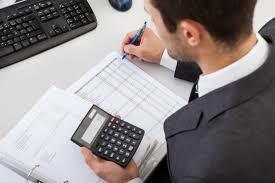 But with the help of an accounting firm, your tax fees can be planned for with the precise amount due to tax offices. Striving for excellence and making more profit are primary goals of business establishments. An accounting firm has experts than can help you weigh up better options to grow your business ideas. With the right set of accountants, you can make out plans that will expand your business ideas. As you execute the plans, you’re not far from getting positive results. For every business that has succeeded, one thing to look out for in them is valuation. Accounting firms can help you do a business assessment in order to know the value you’re offering your clients. An assessment check will enable you see things differently, and you are privileged to know what works. The objective is to know if you’re gaining profit or losing it. Accounting firms can help companies review contracts which can be recalled for a re-adjustment. Because people can be wrong with their own estimation of a contract, a review can help restore parity to businesses. With the help of an accountant, your funds can be well spent judiciously to develop a business market. So, you can execute your business plans in much time without delay. For more information, contact us.